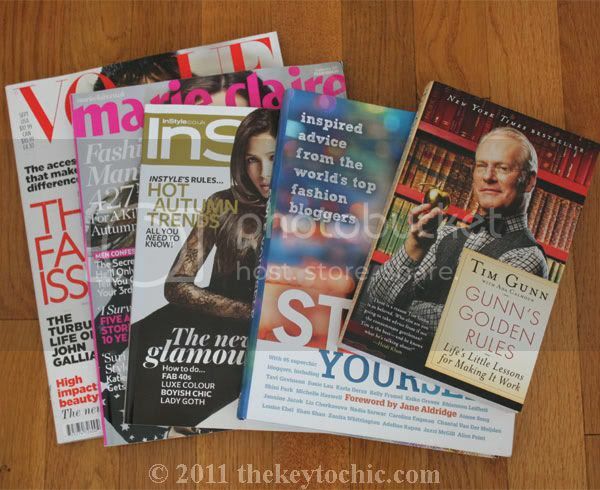 My purchases included Tim Gunn's book, Gunn's Golden Rules, which I just started reading. Did you know he was a sculptor, and that his father was J. Edgar Hoover's ghostwriter? I also bought Style Yourself, which has amazing graphics and photos of some of my favorite personal style bloggers (including Karla, Liz, Aimee, and Jazzi amongst many others), along with useful styling and wardrobe advice. Today's post features lots of florals in an outfit that I literally threw together after receiving both the floral robe and boots on the same day thanks to my unusually prompt UPS man. Being an unusually hot day, I initially intended to only wear the high-low hemline floral dress with my Aldo Qualheim boots, but knowing I'd be in an air conditioned space, I decided to layer the robe on top and break in my new Steve Madden boots just for fun. Sometimes my favorite outfits happen by accident, and due to the infinite amount of time this saves, I wish this happened much more frequently!